The Blue World Project is SeaWorld's biggest attempt at gaining both its visitors and good name back after Blackfish was released in 2013. Blackfish explores the marine park industries and their relationships with captive orca whales. It criticizes mainly SeaWorld's practices and treatment of its animals. 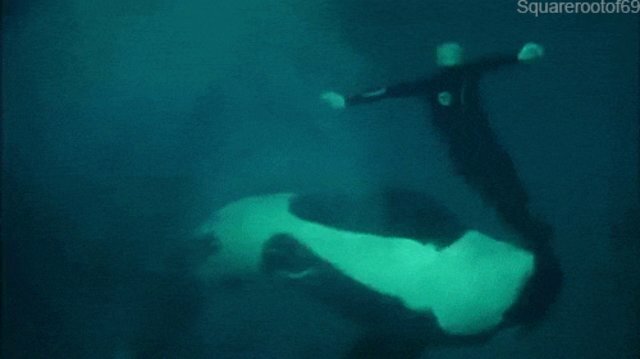 The documentary revolves around Tilikum, a 12,000-pound bull orca, and his psychotic-driven behavior that caused the death of trainer Dawn Brancheau in 2010. Tilikum is responsible for three deaths since his capture in 1981: in 1991, Keltie Byrne, 20, a part-time trainer fell overboard where Tilikum and two other females pulled her under and prevented her from resurfacing; in 1999, Daniel P. Dukes, 27, stayed after hours and was found dead and naked over Tilikum's back – his autopsy showed numerous wounds, contusions, and abrasions covering his body; and in 2010, Dawn Brancheau, 40, a full-time trainer who worked directly with Tilikum frequently, was pulled into the water after a show and was tossed around like a toy. SeaWorld has since allowed only limited contact between trainers and orcas. Note: This is Ken Peters and Kasatka. Peters survived the attack. 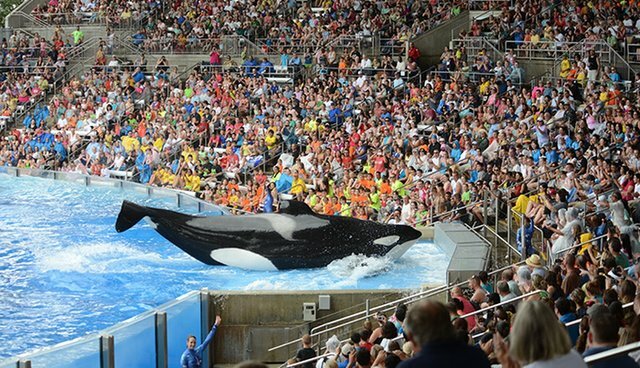 In November 2014, just a year after Blackfish was released, SeaWorld announced that the attendance at parks dropped 5.2% from the previous year and profits had fallen 28% over that quarter. That same month, the company's stock was down 50% from the previous year. In between 2014 and 2015, net income in the second quarter fell 84% – a whopping $31.6 million! – while revenue also fell $13 million. All of the drops in income and revenue were even after the company announced its Blue World Project in August 2014. The project was announced before applying for the permits to begin, so it became clear that it was a desperate attempt on PR's behalf to help clear the marine park's name. The Blue World Project is an expansive project where SeaWorld is planning to double the size of its orcas' tanks to about 10-million gallons in their San Diego location. There will be sand, plants, and other ocean-like stuff that orcas could find in the wild. "A larger prison is still a prison," PETA responded to this announcement. "How do you plan to deal with the noise and pollution around the tanks when building the Blue World Project tank?" Allie asks on ask.seaworldcares.com. 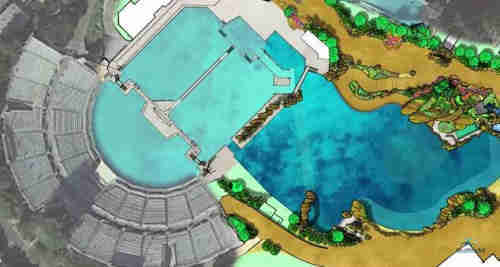 SeaWorld responded: "We have made improvements to our killer whale habitats many times over the past 30 years. While we work to minimize the disruption during these construction periods, our whales continue to exhibit normal behavior and show no evidence of stress." "Drs Ventre and Jett introduce us to detailed observations and strong statistical calculations that add up to an abundance of evidence that captivity kills orcas, usually at a young age... and that stresses, social tensions and poor health are chronic issues in marine park facilities." John Hargrove, a former SeaWorld trainer who directly worked with orcas, willingly spoke in Blackfish about the details behind-the-scenes and published a book about his experiences called "Beneath the Surface: Killer Whales, SeaWorld, and the Truth Beyond Blackfish." He told The Dodo that SeaWorld is deceiving the public about the size of the new tanks. "They're proposing to use the already existing space of the Shamu pool and they're making people think it's this big improvement. It shows the culture of deception." SeaWorld's website explains that the new enclosure will be 50 feet in depth with 1.5 acres of surface area and will "enhance dynamic opportunities for play, including a 'fast water current' that allows whales to swim across moving water." Jeff Ventre, the former SeaWorld trainer who conducted the study on marine parks, said that the Blue World Project "is a public relations gesture. It's not a fix or a solution to the notion of captivity. It doesn't really help the animals from a health perspective." While the Blue World Project is very much preferred over the whales' current tanks, a bigger tank is not going to stop SeaWorld from continuing its unethical decisions, such as their breeding programs and constant separation of mother and calf. What SeaWorld keeps behind its closed doors is the fact that they are very notorious for breeding within the park and trading between other parks. Tilikum was born in 1981, was captured in Iceland in 1982, was at Sealand of the Pacific and then was transferred to SeaWorld Orlando in 1992. He has since sired (some through artificial insemination) 21 calves, 11 of which are alive today. But great news: SeaWorld decided to stop using Tilikum to breed since his offspring began to show violent behavior like their father! In exchange for signing the petition, visitors are getting a free drink at the park. On Sept. 25, 2015, the California Coastal Commission (CCC) released a report and recommended members to vote to approve SeaWorld San Diego's Blue World Project – despite the fact that spokesperson Noaki Shwartz said they received over 120,000 emails and thousands of letters opposing the project. After SeaWorld finishes construction on San Diego's Blue World project, they plan on starting another one at its Florida park. The San Diego project is expected to be completed in 2018. 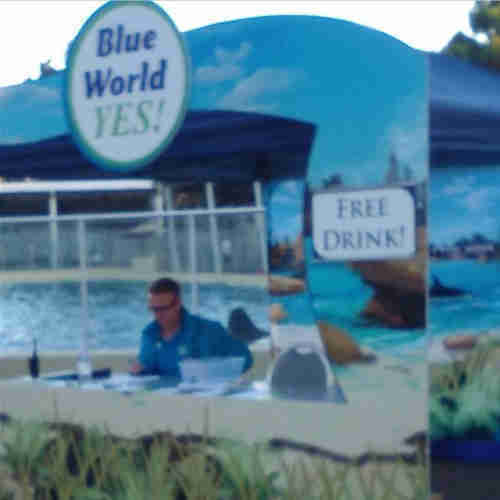 The CCC will vote to approve or deny SeaWorld's permit to begin building the Blue World Project on Oct. 8. For the time being, SeaWorld's employees will continue to claim that we need orca captivity because they're cool to look at. "We're deeply transformed by them, [and] the killer whale is an animal that does that," said Dr. Christopher Dold, SeaWorld's vice president of veterinary services. SeaWorld's PR will continue to make attempts to make the company look as good as possible. They will be answering questions on their newly launched "Ask SeaWorld" program where people can tweet and send questions in about the company and its parks – an addition to its also newly launched "SeaWorld Cares" website. It's backfiring a little bit, needless to say.